You've set a date! Now it's time to share it with your friends and family. When you're ready to send just the right save-the-date, consider the Vintage Bride and Groom Postcard. 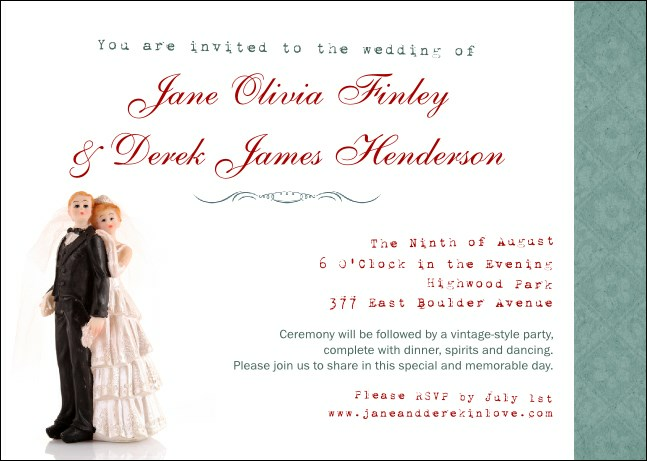 Classic and cute, this postcard template features a retro cake topper with a just married couple and ample space to share your custom information. TicketPrinting.com prints and ships fast!